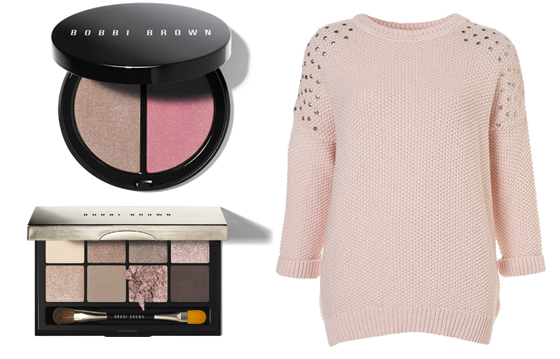 I always wanted to buy something from Bobbi Brown, as I don't own anything from this brand and both items look so pretty! I would love to own them. The eyeshadow palette is so pretty. I love neutral eyeshadows and I'm willing to pay the full price for it. The Bronzer and Blusher duo also looks lovely. The Topshop jumper is something that I really want in my wardrobe for winter. I'm sure I will get great wear out of it. zostałaś otagowana, zapraszam do mnie, by spr zasady tagu - moje sekrety. the things you want, are now the things i want too ;) they are all lovely!! I'm so desperate for that jumper, I absolutely adore it! I also don't have any Bobbi Brown products. As most other cool make-up brands, it is not sold in my country. great jumper, it's such a pretty colour! You had me at studded jumper lol WANT! The studded jumper is so cute. I don't personally own anything studded but this looks perfect! Today is also one of the last days to enter my giveaway! I bloomin' love bobbi brown but I don't actually own that much - So strange!! The duo looks gorgeous..! Love your blog illustrations btw, am defo following!